You are here: Home / Economy / Did The Mongoose Idea Work for Sugar? Did The Mongoose Idea Work for Sugar? OK – in reading this, remember, this discussion is not in defense of the mongoose – nor whether the importation was a good idea. Rather, it is addressing the age-old urban legend about the apparent conflicting activity habits of each. I repeatedly hear that mongoose don’t kill rats – primarily because their activity times are different. 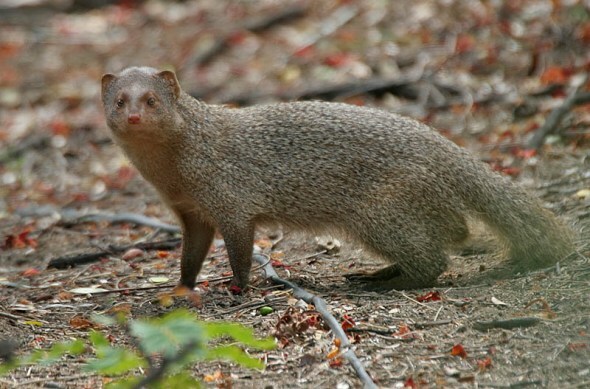 Contrary to the diurnal (behavior characterized by activity during the day and sleeping at night)/nocturnal (behavior characterized by activity during the night and sleeping during the day) conflict between the mongoose and rat – and apparent loss of the predator-prey relationship – reporting at the time of the introduction of the mongoose state sugar producers saw a marked reduction in the pesky rats in their plantations. Pacific Sugar Mill on the Hāmākua Coast had the distinction of introducing the first mongoose into Hawaiʻi. In 1883, WH Purvis imported them from India and Africa for rat control on the plantation. OK, again, before anyone goes off on the consequence to native birds, etc, remember the context of this summary –it’s about whether mongoose rid rats from the cane fields. I prepared this because, until looking closer into it, I, too, believed that because of the diurnal/nocturnal relationship, they never saw each other. However, based on the reports back then, from the sugar planters’ perspective, it worked; damage due to rats gnawing at the sugar was reduced to a level of nominal impact. Unfortunately, like many other bad decisions that were made before adequate analysis of unintended consequences, the mongoose is negatively impacting many other areas in our Islands … and, except for some remnant operations, sugar (and its problems with rats) is effectively gone.